It’s no secret that commercial property owners/managers and facility managers have a lot to do. One of the things you’re also responsible for is the performance of the building and then the costs associated with the energy usage, too. But since the actual people inside the space are mostly the ones who can impact that energy usage, you want to be sure to get them on the same page as you. 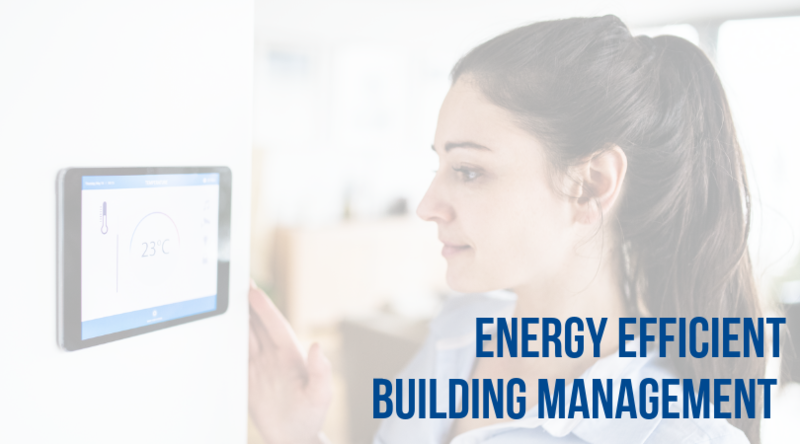 With that in mind, here are 5 ways you can be sure to engage and connect with your building occupants so they are a part of the energy efficient solution. You know a lot about how to minimize costs when it comes to heating and cooling, and how to take care of HVAC equipment. But not every person in your building will even know even the basics when it comes to using and taking of HVAC equipment. You don’t need them to become advanced in their knowledge, but it goes a long way if you can bust some of the common myths—or just misinformation or a lack of information—that comes with keeping the building comfortable (and minimizing the associated costs). Consider taking to educate and inform people. Whether it be a quick brochure, an entertaining but educational video, an email that can be distributed, or another easy-to-digest format, consider doing something so that you can at least equip people with knowledge that can better for the building. According to ENERGY STAR, it’s possible to save 10 percent or more through employee education and behavioral change—which just goes to show how important it is to educate and involve people as much as you can (1). Be sure to keep leaders aware of investments and changes you are making. You can get a lot of alignment and buy-in from people when you share the “why” behind your decisions and when you involve them in the decision-making process. It doesn’t mean you’ll always do what they want or suggest, but you’ll be showing you care about their wants, desires, and concerns. Educating and informing people so they have the right knowledge is a critical step. Another key step is to make it as transparent as possible as to what goals actually exist. Are you trying to reduce waste? What exactly are the energy reduction milestones or goals? How far along are you towards achieving that goal? Keep score or share the metrics whenever you can, so people can see the data and contribute to the continued savings (1). When you hear about or see evidence of behavior change, be sure to show appreciation and recognize those involved. That recognition and “thank you” goes a long way. It also reinforces the good behavior and shows the successes really do matter. Believe it or not, occupants and workers really do care now more than ever about energy consumption and energy efficiency. They will also really appreciate your efforts. According to ENERGY STAR, more than 80 percent of workers are attracted by an employer with an environmental reputation—so keep that in mind as you make investments and as you share the “wins” and successes. What’s more: about half of workers said they would forgo higher pay or a promotion to work for an organization with a good reputation (1). All in all, working with employees or building occupants of any kind takes a long-term relationship. The good news is by reading this, you are already being proactive in your approach to saving money and keeping them as comfortable as possible in the process. Protect productivity and profits with a high-efficiency solutions and support from Greater Comfort. We offer packaged rooftops, split systems and other commercial heating and cooling technologies that deliver cost-effective, customized comfort. Give us a call today, whether you need planned help or emergency help: 859-491-4915.